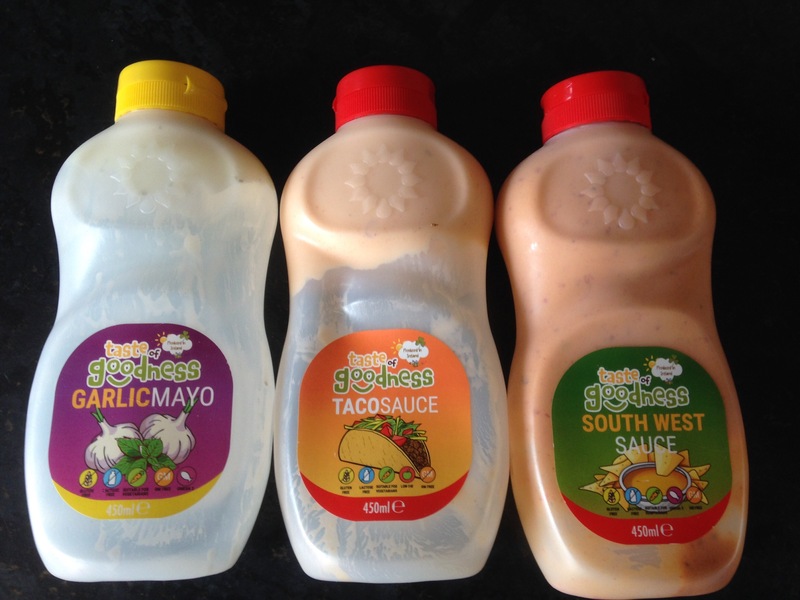 I received three samples of Taste of Goodness sauces. These were South West Sauce, Garlic Mayo and Taco Sauce. They came in 450ml plastic bottles and were manufactured by http://www.tasteofgoodness.ie and I got them from IFEX 2016. The south west was my favourite being creamy and hot, the garlic mayo was loved by my wife,kids and I and the Taco sauce came in a close third. If you get a chance grab some!!! !